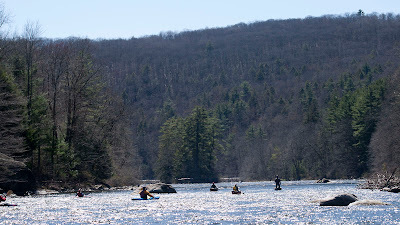 Originally Bob had planned to lead a trip on the Shepaug, but lower water moved the trip for Bob’s annual escape from the traditional start of trout season in our home state of New Jersey so you don’t want to be on Jersey rivers with a group trip. 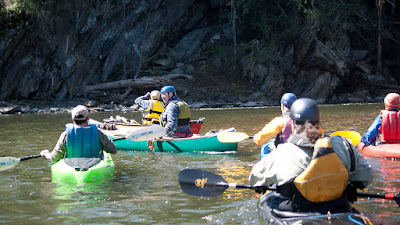 Flow was about 500 cfs at Falls Village . 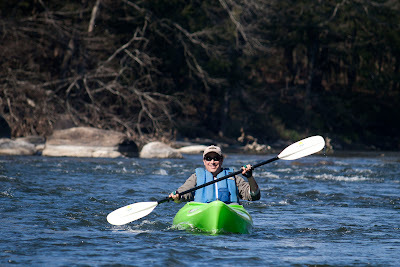 The record low flow for April 7th made things a bit scratchy but eliminated the big waves and trickier moves….or at least those that happened fast. Everyone arrived on time in downtown Kent with Bob timing it to the minute and Chris going for refreshment when he arrived before Bob. 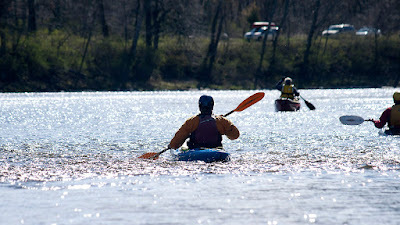 We shuttled to River Road, a dirt road just above West Cornwall. Launches further north get too close to the noise from Lime Rock race track and pulled out on N Kent No. 2 road, a dirt road about 3 1/2 miles north of ‘downtown’ Kent. 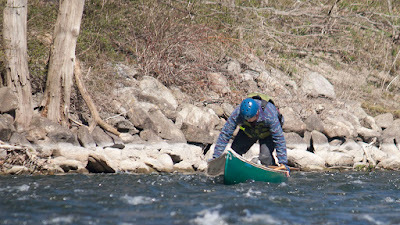 There’s places to pull out in Kent but the pullout north of Kent means no flatwater in the reseviour behind the Kent dam. 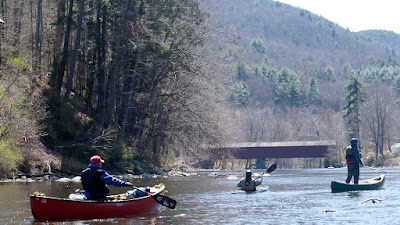 Henry, Chris and Bob approaching the west Cornwall Bridge. 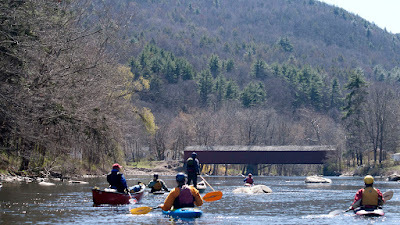 Approaching the west cornwall covered bridge. 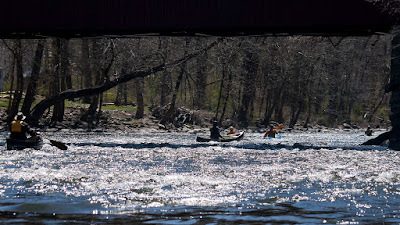 Dropping into the rapids at west cornwall covered bridge. 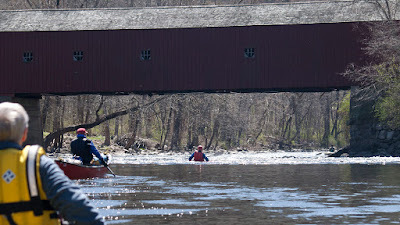 In the rapics below the west cornwall covered bridge. 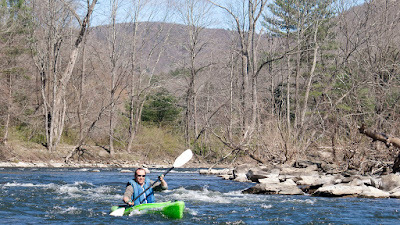 Housatonic River with HRCKC by Tom Hart. 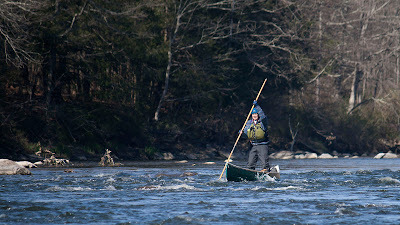 Jason on the Housatonic River with HRCKC by Tom Hart. 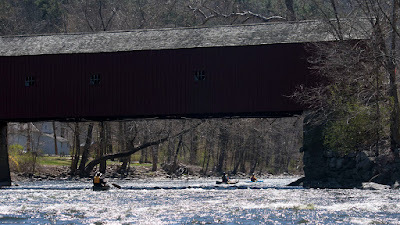 Rocks below west cornwall covered bridge. 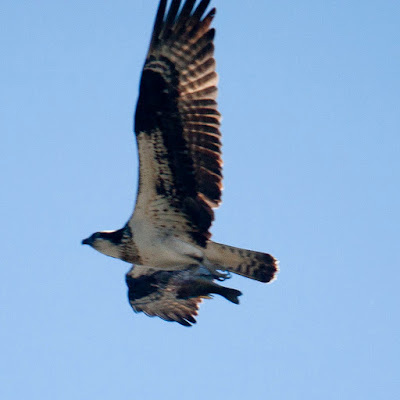 The only sucessful fisher we saw all day...an osprey near the start. Looks like we interupted him mid meal. Unfortunetely, he was getting a generous dose of pcbs thanks to GE. 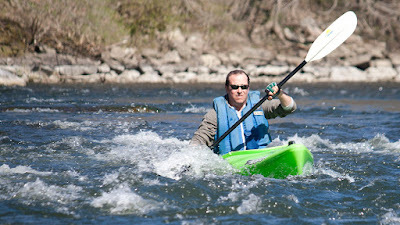 Bob showing his poling technique. 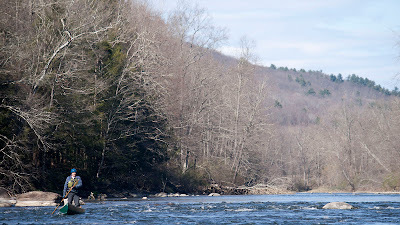 Housatonic River with HRCKC by Tom Hart. 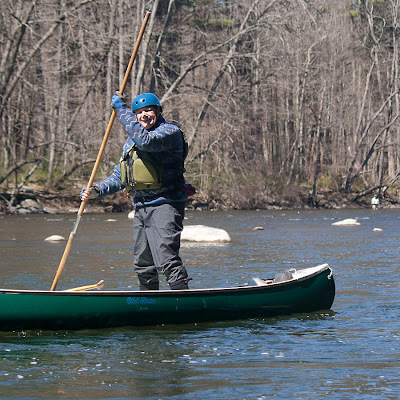 Bob showing his rapid descent from poling to paddling position. Bob showing good form with a high brace. 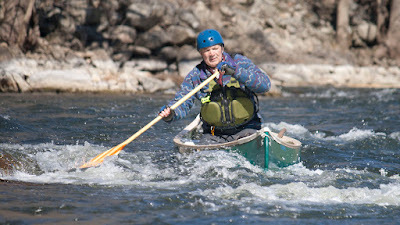 Bob poling thru a rapid. 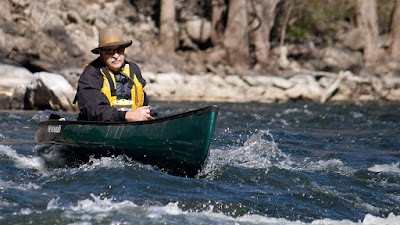 Nearing the end of the trip...the clouds coming it as Bob floats thru on of the final rapids. 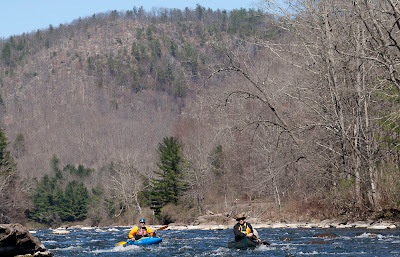 Housatonic River with HRCKC by Tom Hart.